Hi everyone...Laurie here with a Halloween card I made with the spooky Scrolly Bat. 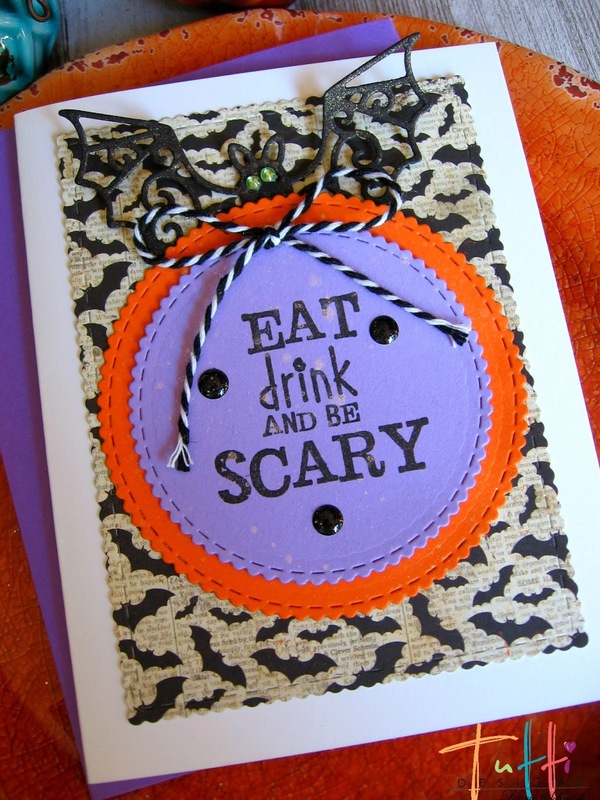 First I cut out a purple and orange circle and stamped the sentiment, "Eat Drink and Be Scary." Then I used the scalloped stitched rectangle to cut out some patterned paper. I adhered the circles, with the scrolly bat peeking out on top. I also added a bakers twine bow and some enamel dots. OMG how cute Laurie! LOVE the bats green eyes ... perfect! 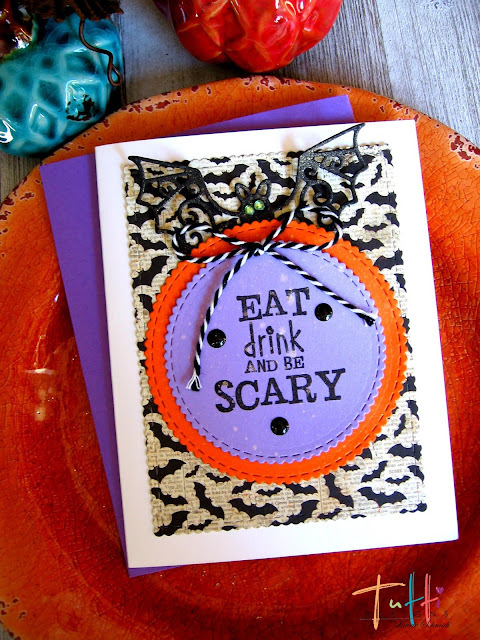 What fun Halloween inspiration!